While us Brits are notoriously reserved, we’re beginning to lose our shyness when it comes to interior design. No longer are we content with hiding away our worldly goods behind cupboard doors – we want to show off what we’ve got, and open shelving in the kitchen is a major up-and-coming trend. Here are 6 ways in which open shelving can enhance your existing style… or even add a new dimension altogether! 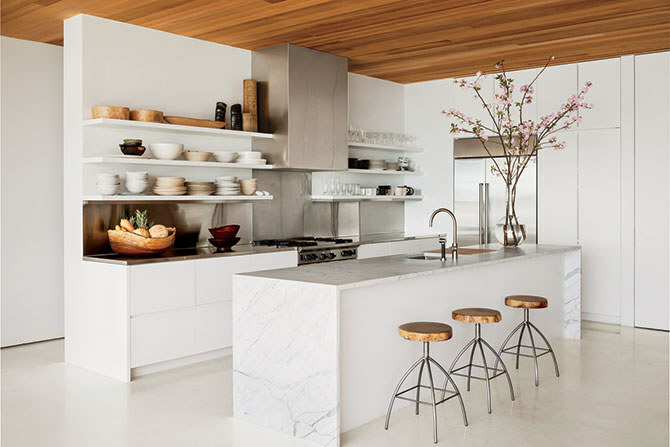 Open shelving can be seen as quite a bold move in terms of style, but it doesn’t have to be. White open shelving in the kitchen, housing white crockery, is an excellent way to implement this trend without being too ‘out there’ if you’d rather stick to a more understated look. 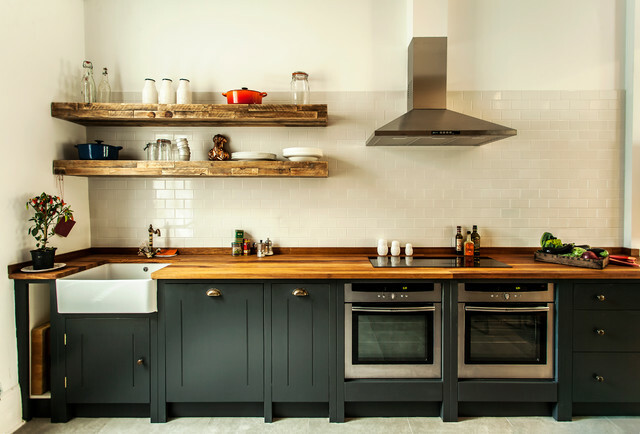 Industrial-style kitchens are hot right now, and open shelving is one of the best ways to show off your copper pans, brass accessories, and gold decor that make your kitchen what it is. 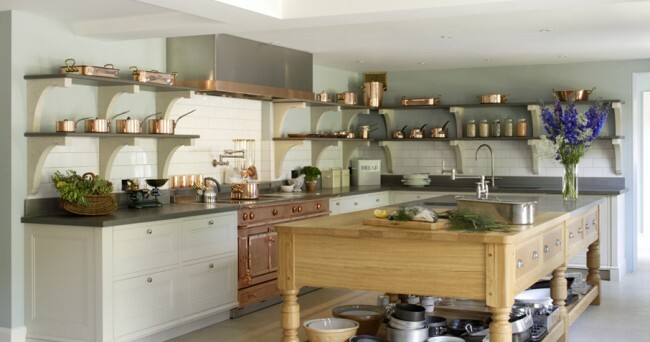 The open shelving adds to the style, making you feel like you’re cooking in an exciting, commercial kitchen. Monochrome has been ‘in’ for a few years now, and it’s showing no signs of dying out. 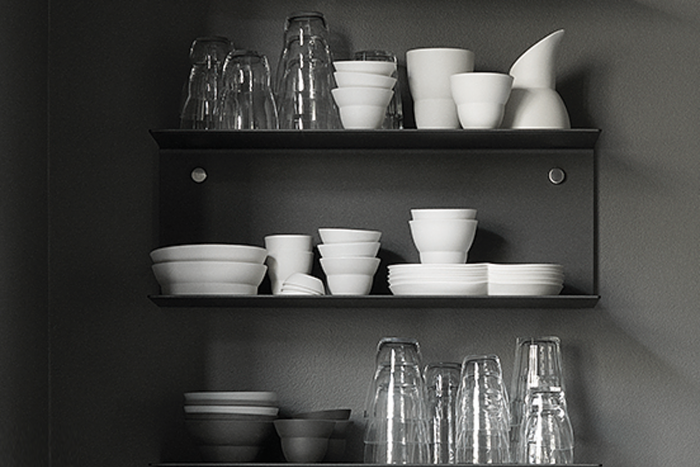 Try mixing black open shelving in your kitchen with white crockery, china, and accents for a modern, clean, and elegant way to incorporate this timeless monochrome style into your home. Do you feel like your kitchen is missing something? If your kitchen often feels a bit plain, then showing off some traditional, pretty crockery can really make all the difference. It transforms your kitchen from something almost clinical to somewhere that has a really ‘lived in’ feel. 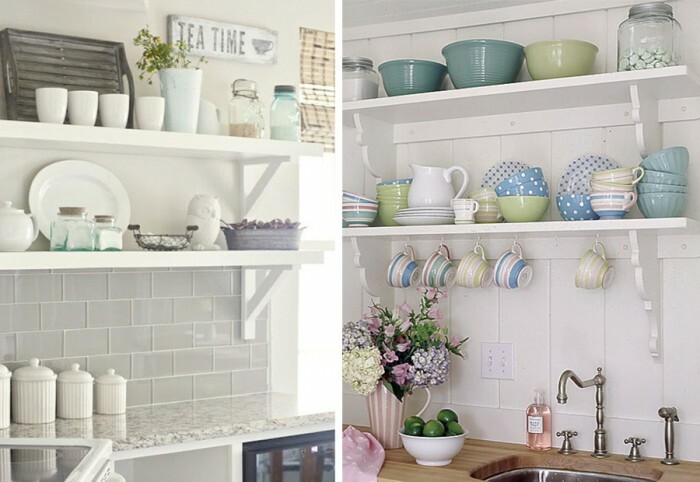 Regardless of whether you favour traditional, farmhouse-style kitchen trends, or are always looking for the latest in modern and minimalist design, open shelving is the perfect opportunity to show off your own style, and your own personality. Don’t hide your taste – flaunt it! At a time when many of us are opting for more open plan styles to maximise space, keeping your kitchen accessories locked away in cupboards and drawers can make the kitchen feel quite closed off and restricted. Open shelving brings back that bright, spacious and airy atmosphere. 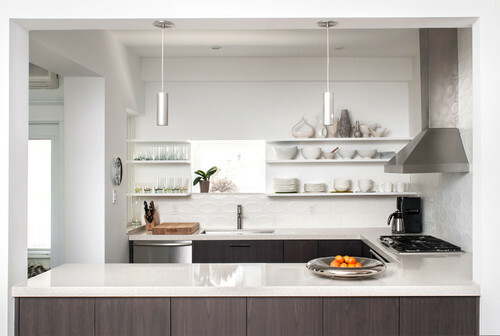 There are many ways to make use of open shelving, both in the kitchen and in other parts of the home. Open shelving isn’t just for books anymore, so why not think outside the box a little? How about using open shelving to display artwork, rather than hanging it on the walls, or using it to store footwear, bags, or even clothing? The possibilities for open shelving are endless, so what will you show off?